I remember the first time I ordered Subway in America because I was so lost and embarrassed. I never learnt all these words in my English class and didn’t know how to order a sandwich. This experience makes me think about what if my student is in China. If he or she would like to order a Subway, could he or she find the right words in the textbook? I don’t think so, but today let’s have a lesson on Subway and other foods. 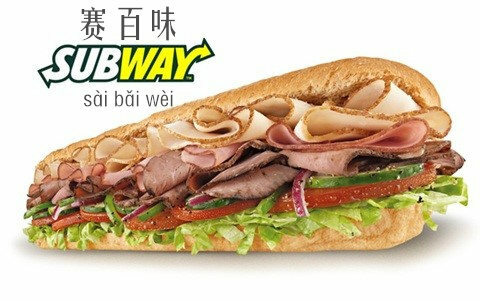 Like most place in the world, Subway in China has it common options for type of sandwich, which you can select. 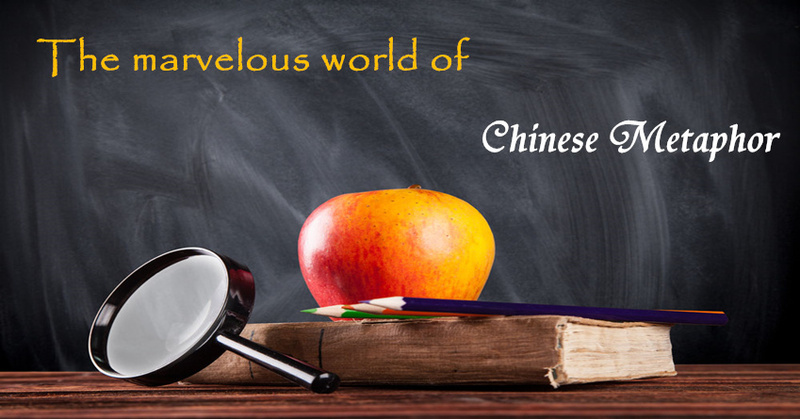 Here are the Chinese words and pinyin for you to look to learn and use when you are ordering your sandwich. I personally like Turkey Breast because it’s low fat. Somehow though, I just feel the turkey breast is not as good as it tastes in America. Maybe it’s because turkey breast is not that common in China, it may not be as flavorful. Step 2: Order your bread. Sorry folks, there is no flatbread available for you to order. Personally, I would recommend the wheat because it tastes the best to me. This part won’t bother you at all in China because there is only one kind of cheese at Subway in China. The only thing you need to learn is if you need extra cheese, just say双份芝士(shuāng fèn zhī shì). The Chinese have never been a big fan of cheese. After you choose the cheese, the staff may ask you a question: 要加热吗(yào jiā rè ma)？ Literally it means “Do you want to heat it?” 要(yào) is the answer for ‘yes’ and 不要(bú yào) is for “no”. 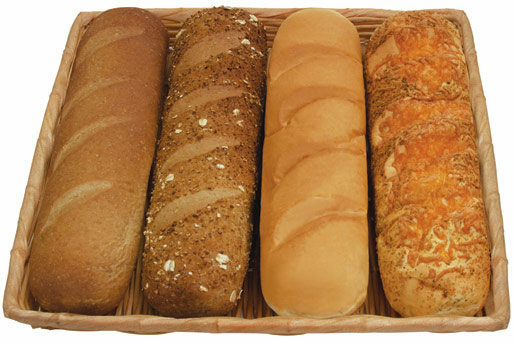 After toasting or not toasting your bread, you then get to select your vegetables you would like on your sandwich. 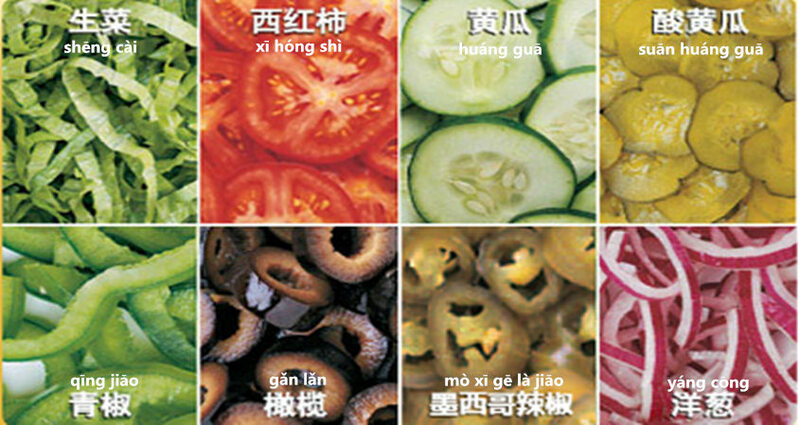 The veggies at Subway in China are always same as that in America. I like most of the veggies, but I don’t like olives. Lastly, you get to select your sauce to give your sandwich an interesting flavor. These options are similar to the American Subway but it may not taste the same. I am surprised there is no ranch sauce at Subway in China because it is my personally favorite. I guess maybe because the ranch is similar as mayonnaise. Finally we are done. It’s not easy to get a Subway in a foreign country, right? One suggestion is you don’t need to memorize all of these words. Just choose one or two as you wish. 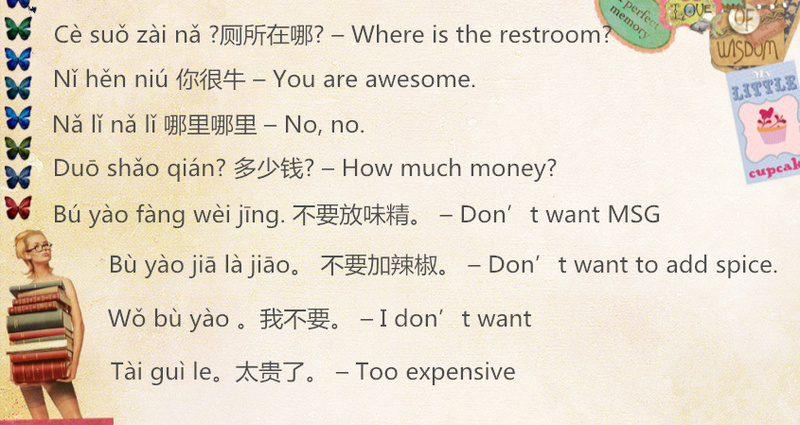 Four or five words in Chinese are enough for you to get your food. A 煎饼(jiān bǐng) always goes with an egg. You can order extra egg by “两个蛋(liǎng gè dàn) – two eggs”. Then you can add flavor as you wish like 辣椒酱(là jiāo jiàng) chili sauce. 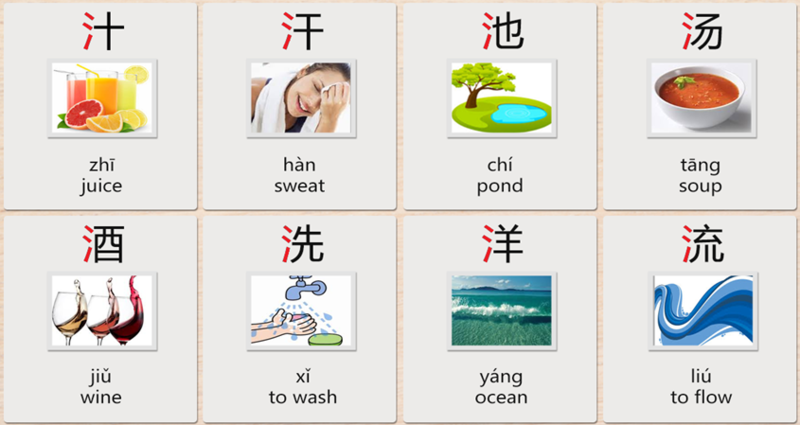 If you don’t want it, say “不要辣椒酱”(bú yào là jiāo jiàng). Or you can add葱(cōng) green onion. Same thing is you don’t want it “不要葱”(bú yào cōng). Also, you can select豆瓣酱(dòu bàn jiàng) bean sauce. But I never heard anyone say “不要豆瓣酱”(bú yào dòu bàn jiàng), so I guess you need this for 煎饼(jiān bǐng). 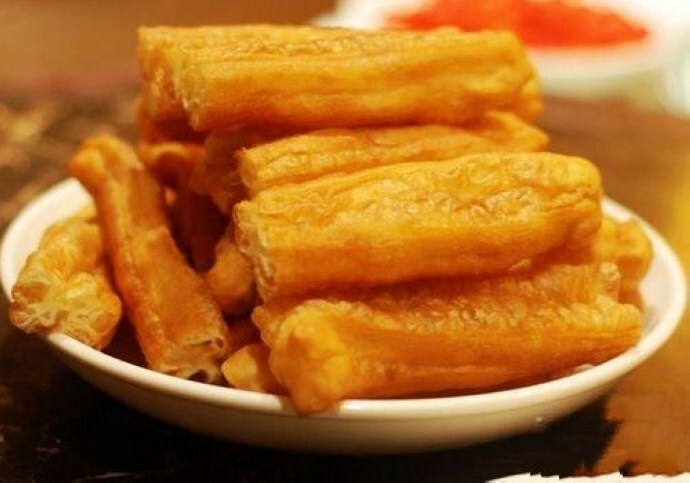 油条(yóu tiáo) which known as Chinese cruller, Chinese oil stick, or Chinese doughnut, which looks like this. It is a breakfast food with soybean milk or a late night snack to have. 脆饼(cuì bǐng) another deep-fried snack, which has black sesame seeds cooked in itself. This picture is what it typically looks like. Check this link for how 煎饼 is made. I am so hungry and need to find something to eat now after writing about this. 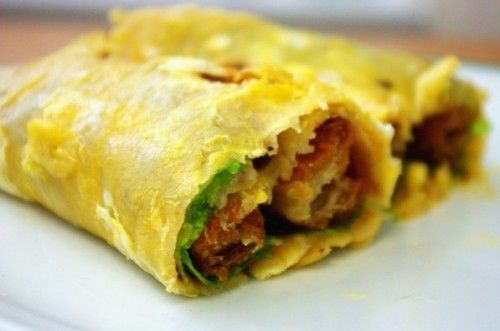 When you are Subway, try to use the advice here and if you want something local look for the many饼(bǐng) that I introduced. Enjoy the food and see you next time. Thanks! This is actually really helpful :). I love a lot of Chinese food (and I had to smile when reading your suggestions at the end, because I recently ate 脆饼 that my girlfriend’s mother had made), but sometimes it’s nice to have something different…and not so oily… It does seem that in Shaanxi and the surrounding areas, much of China for that matter, everything is cooked with copious amounts of oil. Tasty, maybe, but not terribly healthy. Despite the criticism it often gets, Subway can be a healthy option if you do it right and know how much to eat. Anyway. Thanks for the tips. P.S. – I take it that asking for double meat (I like the protein) would be something like, “请给我双份肉”?